The Quicken Trust has been working in Kabubbu since 2000. In that time it has created a primary school, a health centre and laboratory, teachers’ and nurses’ housing, community housing, clean water supplies, farming and work initiatives, an adult literacy centre, a library and secondary school. Over 400 orphaned children are being educated and 2,000 patients are treated each month for life threatening illnesses. 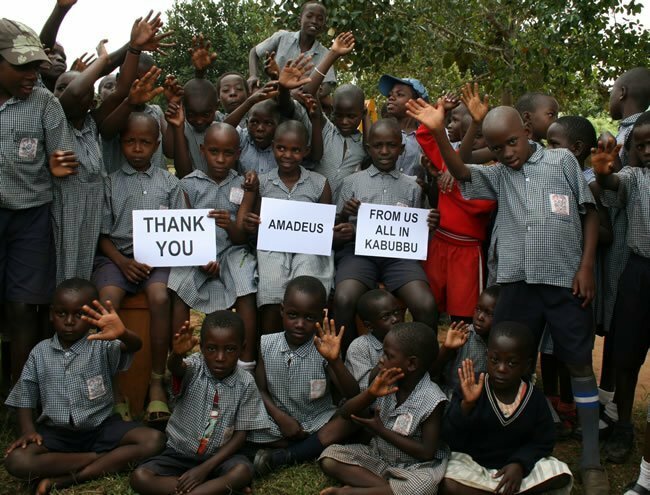 Amadeus supports Kabubbu because anyone can visit and stay in serviced comfortable accommodation; they can get involved and be entertained by the children singing and dancing, and experience a typical Ugandan feast. Some of our school clients have already stayed at Kabubbu and had a wonderful time, delighted that it provides their students with a truly live experience and insight as to how others live in the world. Many have returned for a second visit.